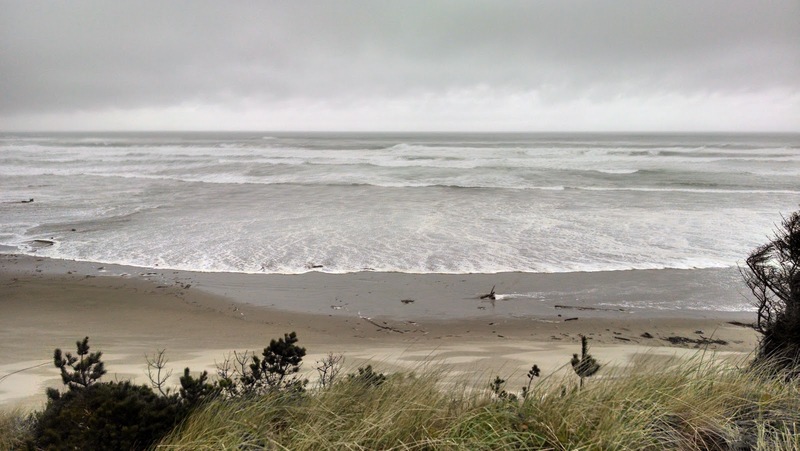 March is unpredictable on the Oregon Coast. Sunny one day, stormy the next. When I took this picture yesterday, it was windy, drizzling and cold. Today, we have sun, but rain is forecast for later. People are flocking to the beaches for spring break, but I wouldn’t spread my towel on the sand just yet. Go to the aquarium, blow a glass float, visit our art galleries and museums, or try our clam chowder, marionberry cobbler, and locally brewed beer. Don’t forget your hoodie. 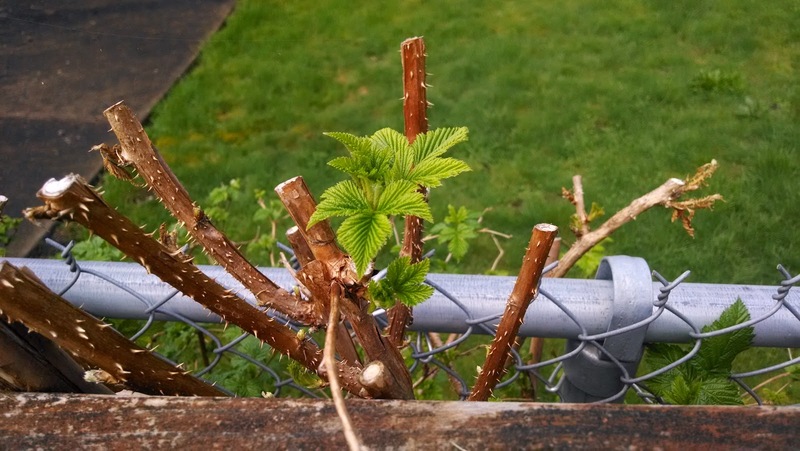 All winter, our berry vines have looked like dead sticks, but they’re coming back to life. These salmonberries are determined to take over the space between my deck and the fence. 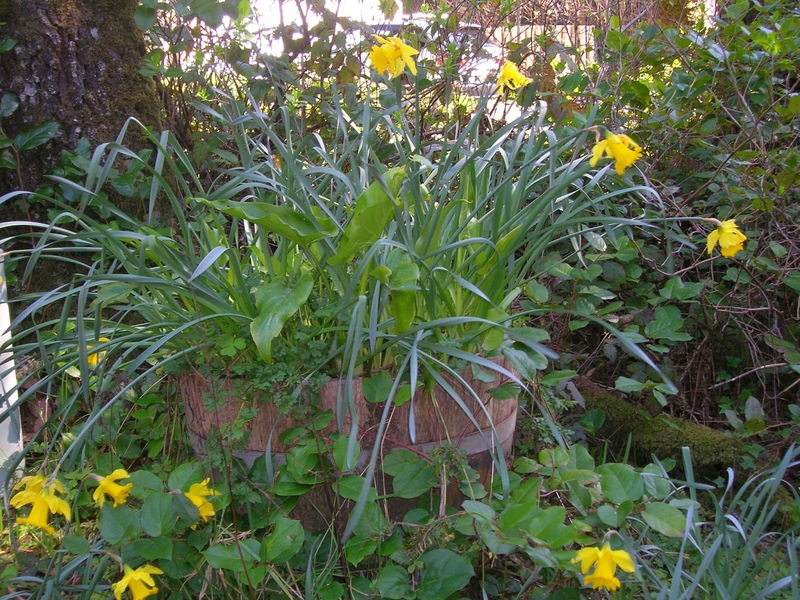 Meanwhile, the daffodils are blooming like crazy despite the rain and wind. Trillium decorate our trails, and in local creeks, skunk cabbage plants are starting to spread their giant leaves and send up bright yellow flowers that do indeed smell like skunk spray. Happy spring to all. May your storms ease, your snow melt and the sun make everything bloom.